Wrapping up the week in a Serenity Blanket Scarf. It is almost midnight and after a super long and tiresome Thursday (day at work) and a couple of cups of coffee plus a strong iced tea, I am writing this post. Ahhh a blogger's life. But it is Friday and the weekend is here and I enjoy my weekends and try to relax, I hope you all do the same. 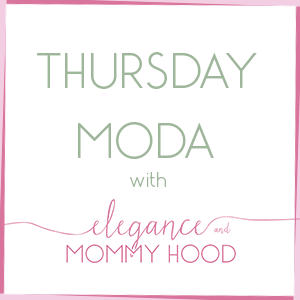 Thank you to everyone who joined my very first linkup "Thursday Moda", yesterday. The linkup will be open till next Wednesday so there is still time to join. 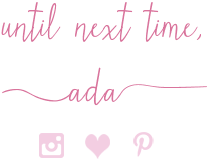 For your convenience, since this is the first week, I added the linkup to today's post, also. Today, also ends an entire week of ALL new Blanket Scarves, I styled here on the blog. I started the week looking very colorful but I am ending it on a Blue Palette that looks quite Neutral. Also, all my Pretty Blues definitely hint to Spring coming soon. However, I had to take these photos indoor by the mantle, due to the heavy snow, freezing cold and all the Snow Madness we experienced here this week. Also, today for the last time this week I am joined by the lovely EMILY from Darling Dearest. Her and I are wrapping up this 3-day series of styling Blanket Scarves for Winter and early Spring. Completely not planned, but it is funny how her and I both have Spring in mind and brought out some light Spring tones in our outfits today: Serenity (Baby Blue) for me and Mint for her. I just love her dress and different shades of Green by adding that Forest Green Plaid Scarf over the Summery Mint Mini Dress. Check out the rest of this series, my posts (here, here + today's) and Emily's posts (here, here and here). I also want to take this opportunity to thank Emily for being my first co-host of the linkup, this week. This is my first Chambray-looking button-down shirt I have ever owned and still own. I have had it since I was 19. It is a linen-blend shirt and it is in one of the IT Pantone Colors of 2016 - Serenity. I guess I never got rid of the shirt because of how classic and preppy it looks. Though this is the last time I wore it because it feels small and these days I own a real Chambray shirt plus I prefer my shirts much longer. However, I plan on re-purposing this shirt and when I tell you what I have planned for it, I will blog it. I paired it with Trouser Jeans in a dark Indigo color and decided to go for a tone-on-tone look of all Blues. I did wear a Serenity Jacquard Colorblocked Blanket Scarf on top, carried my Navy Clutch and wore some Gorgeous Royal Blue Suede Pumps I plan to wear a lot more this Spring. I also accessorized with a couple of jewelry pieces from White House Black Market, Cranberry Lipstick and a Red Stone Ring. Despite how simple and tonal this outfit looks, the different textures and scarf worn as a poncho, add interest to it, what do you think? It is an elegant take on the Canadian Tuxedo and you can totally wear it to work (in a relaxed dress code office). Baby Blue/Serenity w/ Pink Jacquard Patterned, Light Blanket Scarf: BP via Nordstrom (New) (similar, small Splurge), (similar in plaid, Great Deal, love this), (light Spring version, Steal). Royal Blue Suede Almond-Toe Pumps w/ Black Buckle detail: Nine West (New) (similar, Splurge, love these), (similar w/ kitten heels, Great Deal), (similar, Steal). Silver-tone Circle Drop Hoops w/ large Square Silver Stone in the middle: White House Black Market (similar, Splurge), (similar, Great Deal), (gorgeous option, Steal). Baby Blue/Serenity Chambray-looking Button-Down 3/4-Sleve Shirt: The Limited (similar, small Splurge), (similar, Great Deal), (similar, Steal, love this). Navy/Indigo Flared-Leg Trouser Jeans: The Limited (similar, Splurge), (similar, Great Deal), (similar, Steal, love these). Dark Red/Wine Lipstick: Revlon Super Lustrous in "Wine with Everything" (identical, Steal), (similar, Splurge), (similar, small Splurge). Mini Tortroise Lucite Bow Barrette: Old Navy (New) (similar, Splurge, love this), (similar, Great Deal), (similar, Steal). P.S. Linking with Adri + Jessica, Alice, Ann, Birdie, Carrie, Caryl, Christie, Cherie, Claire, Dawn, Doranda, Grace, Heather, Jaymie, Jennie, Jolynne, Lauren, Lauryn, Linda, Lisa, Lisa M, Lizzie, Megan, Melissa with Rachel, Mix+Match, Mix it Monday, Nicole, Osy, Rachel, Rachelle, Sheela,Tara, Vicki and Whitney.